Millers in Alaska | Providing discipleship, encouragement, and pastoral training to Alaska Natives in remote Alaska villages. Hello! We’re glad you stopped by! We are James and Shannon Miller, along with our five kiddos: Dani, Rachel, Christa, Jared, and Timothy. In May 2007, we moved to Fairbanks, Alaska, looking for a ministry in which to be involved that would focus on Native Alaskans and utilize skills God has given in aviation and teaching. God led us through many steps in preparation, as you’ll see as you peruse the various pages here, and life has been a constant adventure as we follow Him! If you would like to follow our journey, please take a moment to sign up for our prayer letters here. Past issues are on our Prayer Letters tab. To divert to our story in photo galleries and videos, please click on over to our BLOG page. For a brief introduction to us, read on below! We arrived on the field – which happens to be home! – June 7, 2014, after being “Outside” (in the Lower 48) since October 30, 2012, finding prayer and financial partners to work with us in carrying out the ministry God has put in front of us. 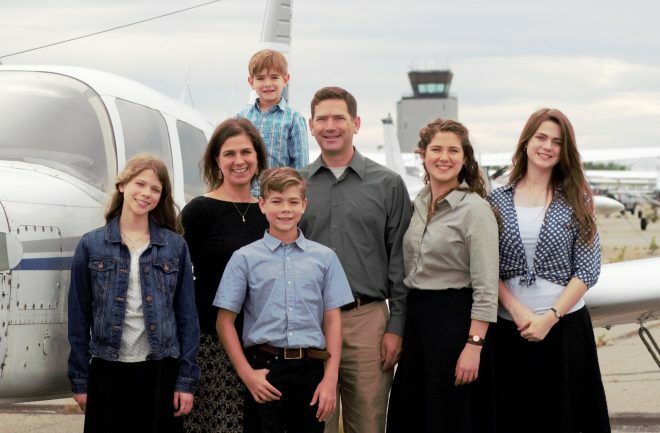 God provided an airplane – a 7-seat Piper Cherokee Lance – for us to reach the villages, and we are enjoying becoming acquainted with more Alaska Natives and their way of life. We consider it to be a great blessing to be here and to have the opportunity to see how God has revealed different aspects of Himself in a culture that is different than our own. Explore our site to learn more about the work we have done and are looking forward to doing as He directs. Please drop us a note to let us know you are praying, either through the “Reply” section at the bottom of this page or through email (james@millersinalaska.org). Financial partnering – either for monthly support or for special gifts – can be done through the red “PARTNER NOW” button on the right side of this page. Please also share our website with anyone who may have a heart for reaching Alaska Natives, so they can know how to be a part of this exciting work as well! We really enjoyed you all joining us for worship and fellowship today. Many good conversations with our kids this afternoon about following God wherever He leads. Thanks for sharing your testimony of what the Lord is doing in your family and ministry. We look forward to this new relationship with the Miller Family. It is always so good to receive your newsletters and hear your voice on your videos. 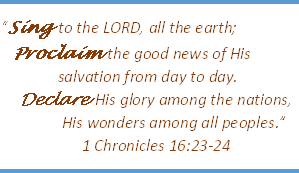 Praise the Lord for how He is working in your lives and for the blessings to and for your strong in the Lord children.